Home News Delight For Tartan Foursome Earning Full 2019 European Tour Cards. Delight For Tartan Foursome Earning Full 2019 European Tour Cards. 6 months ago by Bernie McGuire Comments Off on Delight For Tartan Foursome Earning Full 2019 European Tour Cards. Scotland’s golfing stocks have received a huge boost with four players – Grant Forrest, Liam Johnston, Robert MacIntyre and David Law – earning full 2019 European Tour membership. 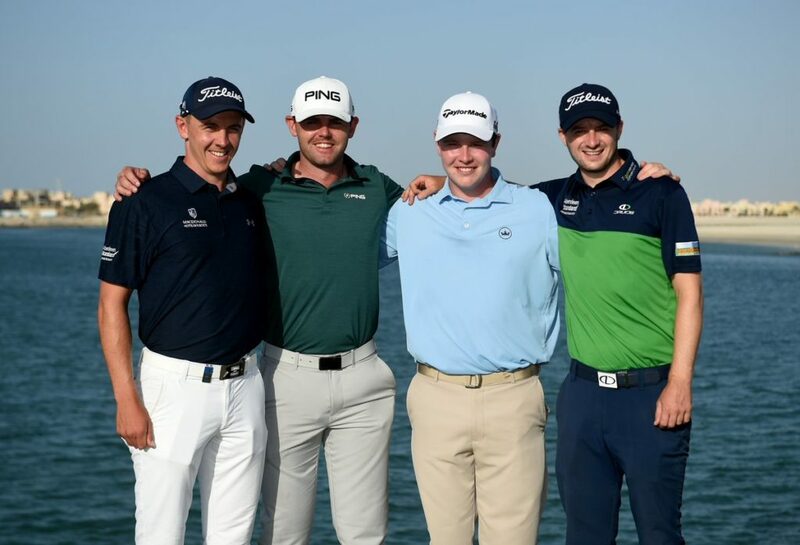 The Tartan foursome finished among the leading 15 on the overall season money list after four rounds at the secondary Challenge Tour Ras Al Khaimah Grand Final on the Al Hamra course in the UAE. It will also be the first time all four have held a full European Tour card. Forrest, 25 birdied four of his closing six holes in a 68 for the Craigielaw star and former Crail Battle Trophy winner to share 10th place on eight-under par and finish top-Scot in seventh place on the final 2018 money list. Dumfries-born Johnston was 10th on the money list despite a closing UAE 73 to share 17th place at six-under in the Grand Final. Glencruitten’s MacIntye, 22 posted a final round 69 to share sixth place on 10-under par and be assured a maiden Race to Dubai Tour card by ultimately being placed 12th on the top money-earning 15. And former Open Champion, Paul Lawrie will be thrilled fellow Aberdonian Law, and aged 27, secured the 14th of 15 2019 main Tour cards despite UAE closing rounds of 73 and 73 for a two-under tally. He said: “It’s been a great year for the Scottish boys. “Liam had great success earlier in the year and I think we have all fed off that.